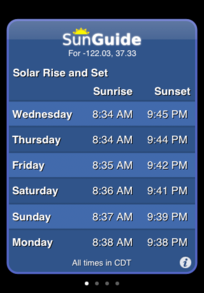 SunGuide gives you easy access to this week's solar events. 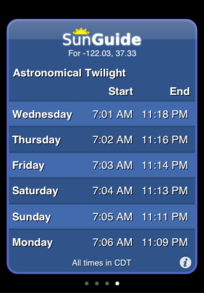 Get times for sunrise, sunset, and twilight start/end instantly. 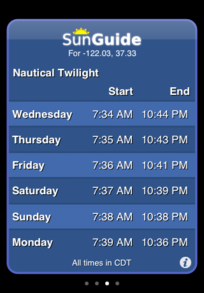 No Internet connection is ever required, making SunGuide a great addition to your iPod Touch or iPad. Look for SunGuide in the App Store today!